Maciej Maryl, Ph.D., assistant professor and the founding head of the Digital Humanities Centre at the Institute of Literary Research of the Polish Academy of Sciences. In 2013 he defended the Ph.D. thesis dedicated to the literary life online. His research interests cover literary communication, digital philology, multimedia writing, digital humanities and relationships between technology and culture. 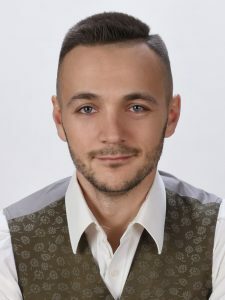 He currently runs a COST action New Exploratory Phase in Research on East European Cultures of Dissent and a research project dedicated to turning Polish Literary Bibliography into a research tool. Maciej is also involved in the work of the DARIAH Digital Methods and Practices Observatory WG (DiMPO) and OPERAS.